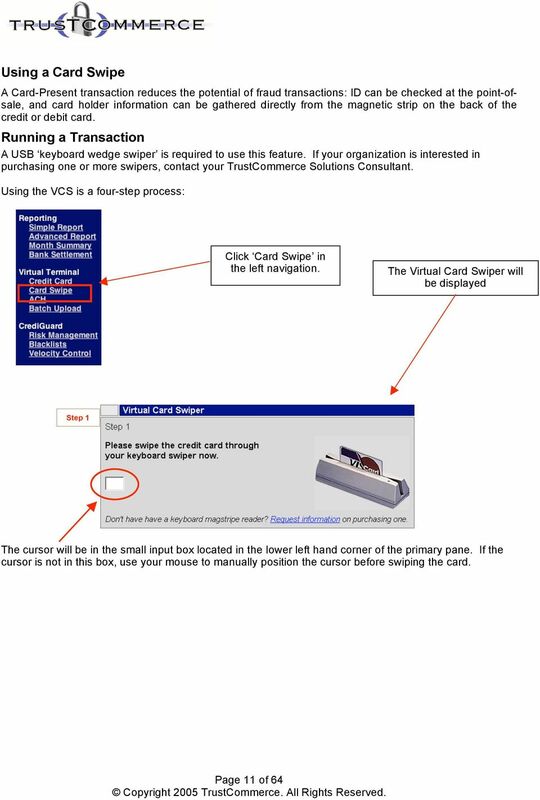 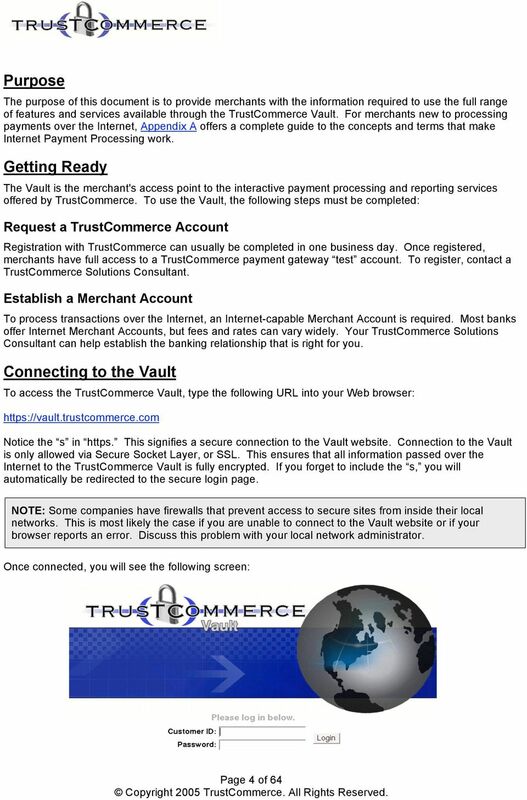 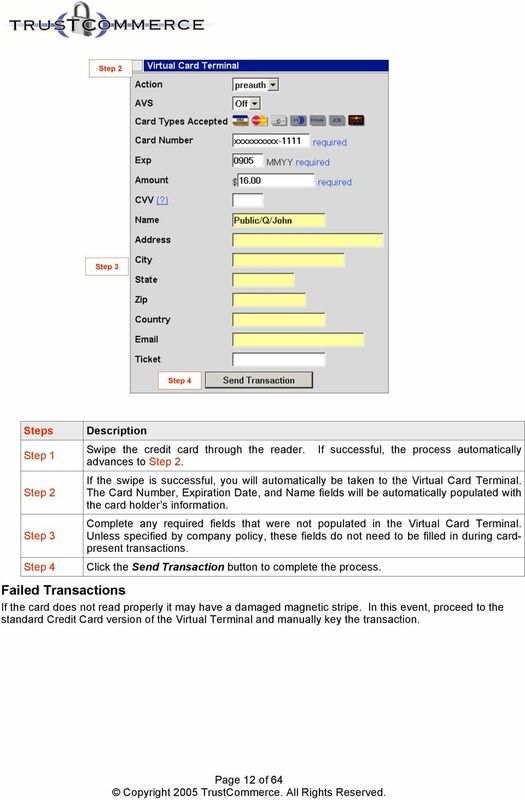 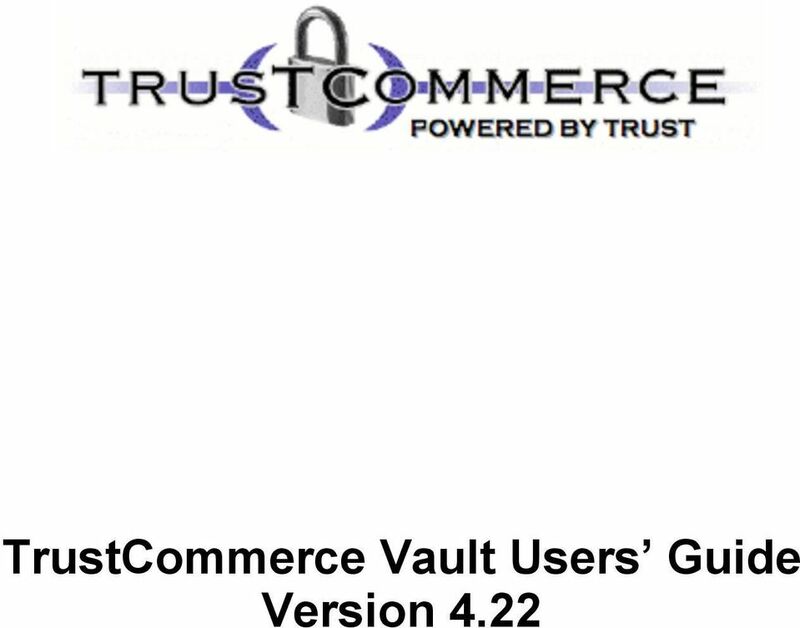 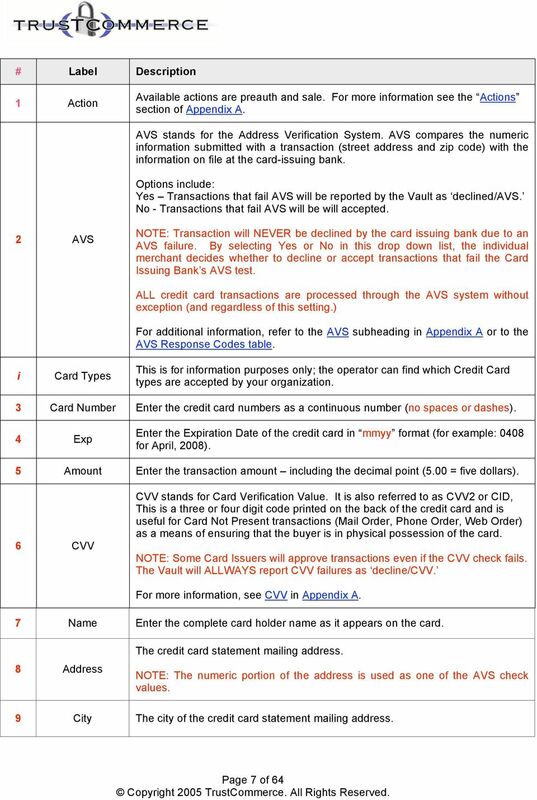 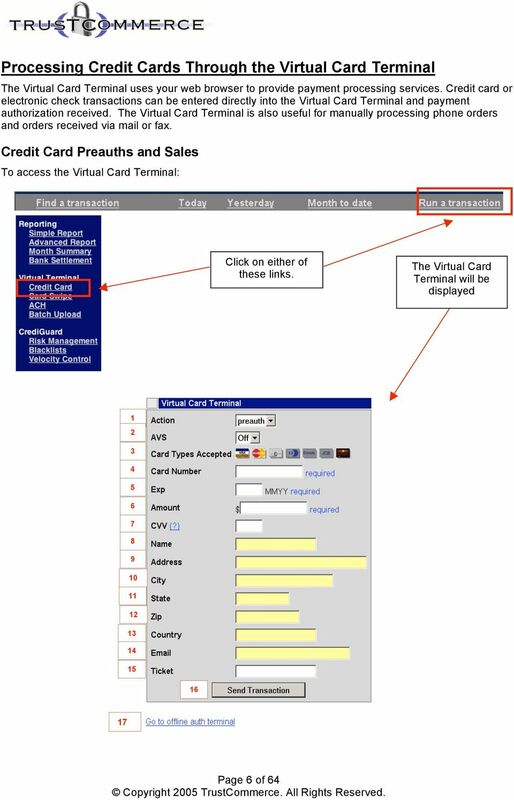 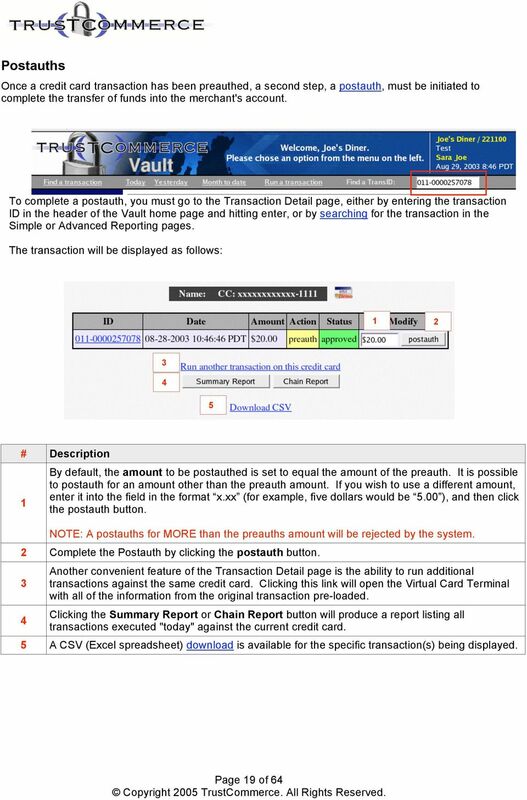 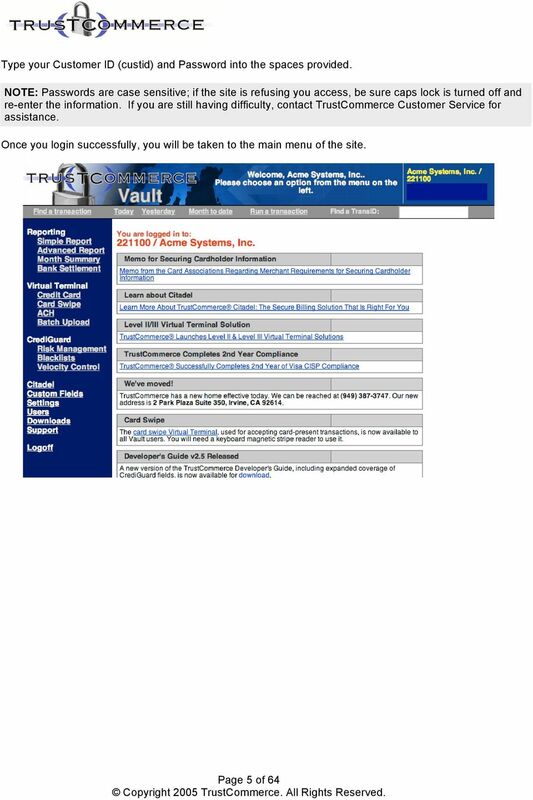 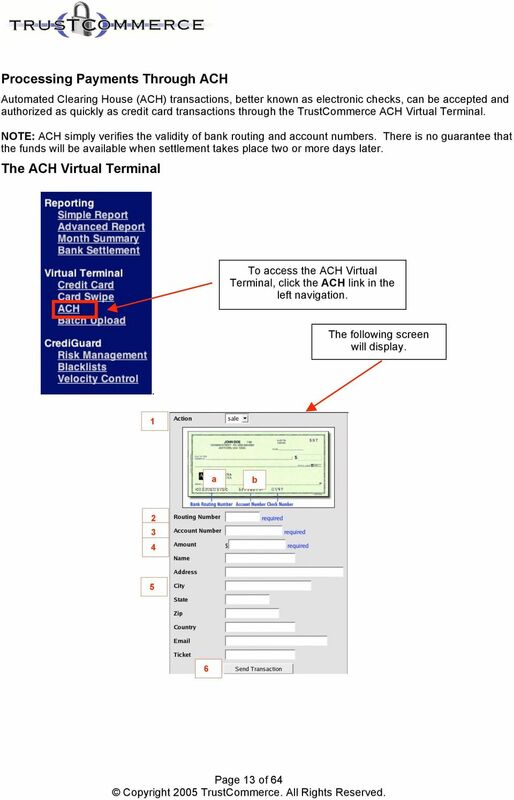 Download "TrustCommerce Vault Users Guide Version 4.22"
CREDIT CARD PROCESSING GLOSSARY OF TERMS 3DES A highly secure encryption system that encrypts data 3 times, using 3 64-bit keys, for an overall encryption key length of 192 bits. 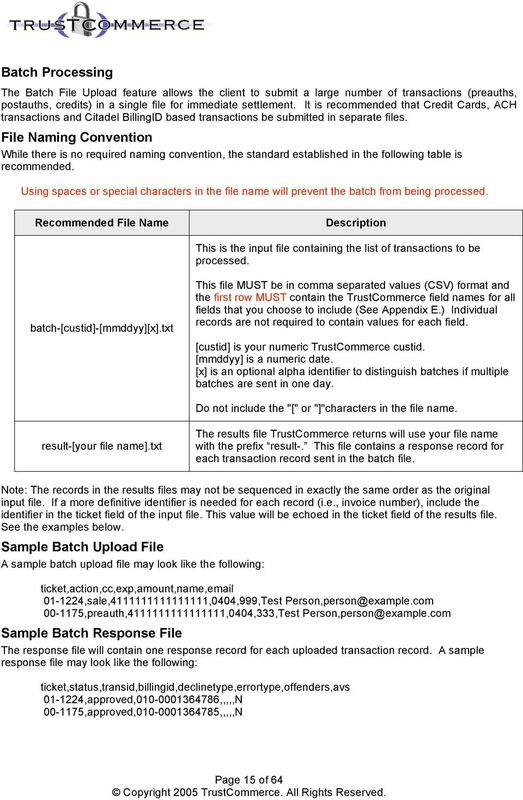 Also called triple DES. 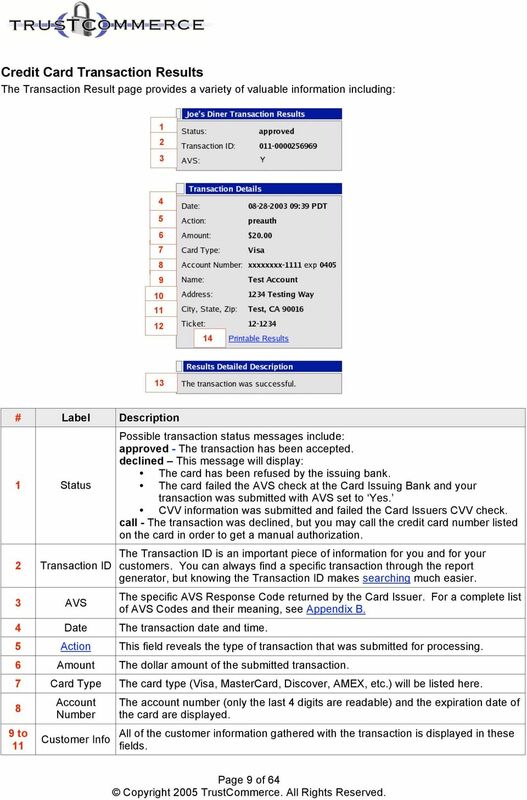 Gateway Direct Post API http://merchantguy.com @MerchantGuy Questions? 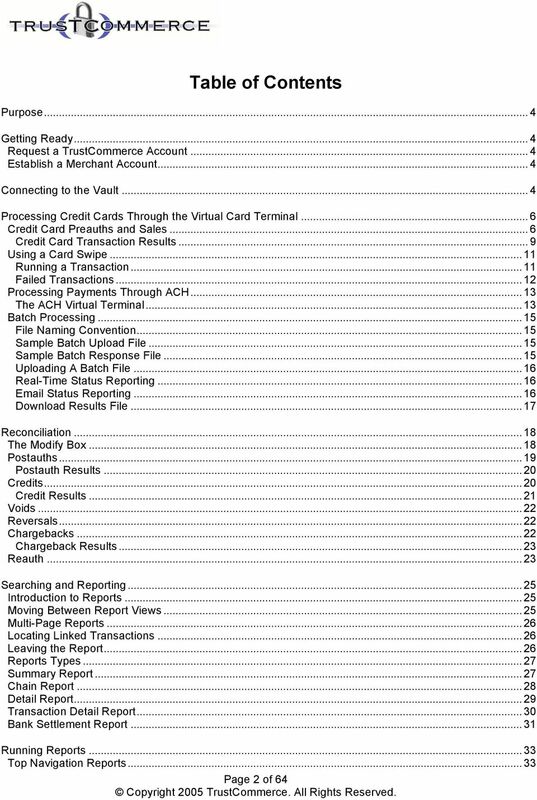 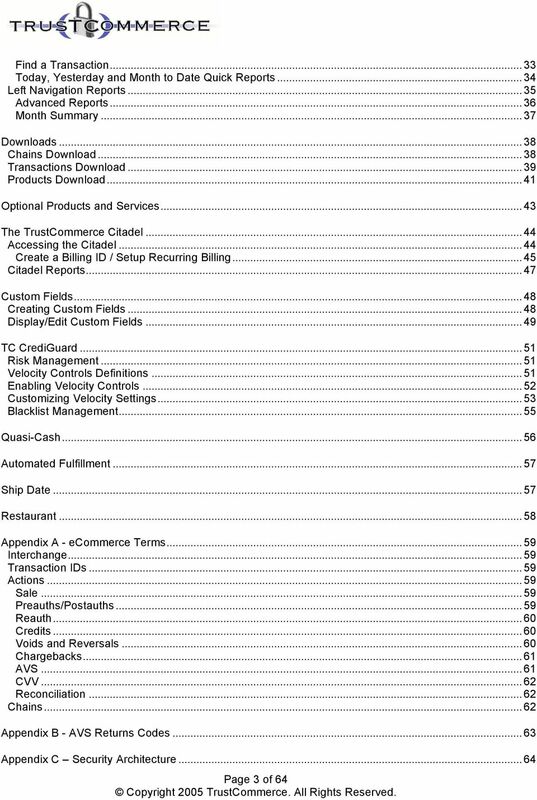 info@merchantguy.com Contents Methodology....3! 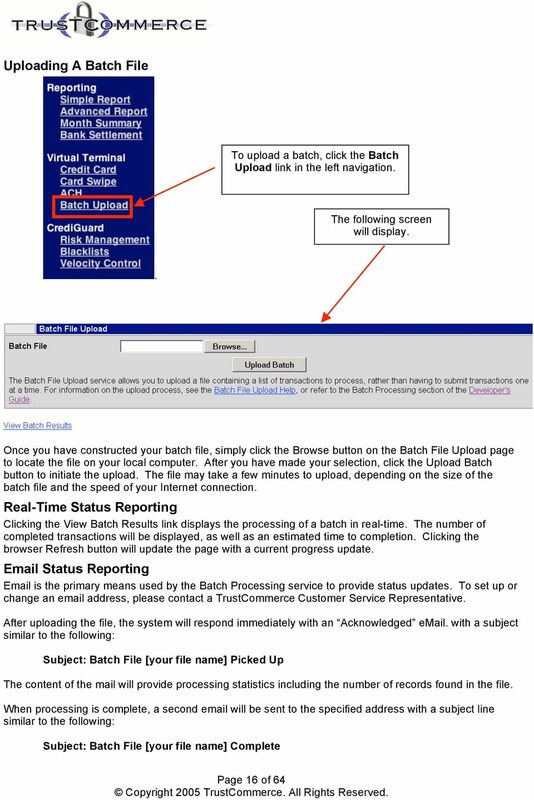 Direct Post Method (Server to Server FIG. 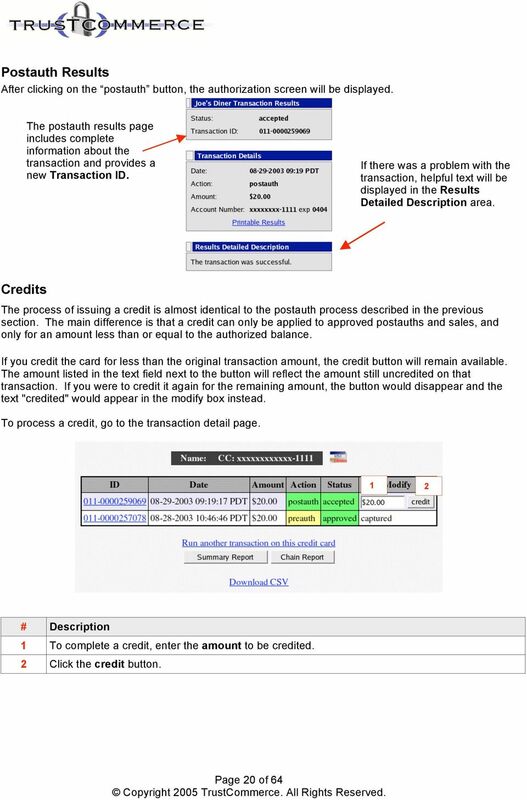 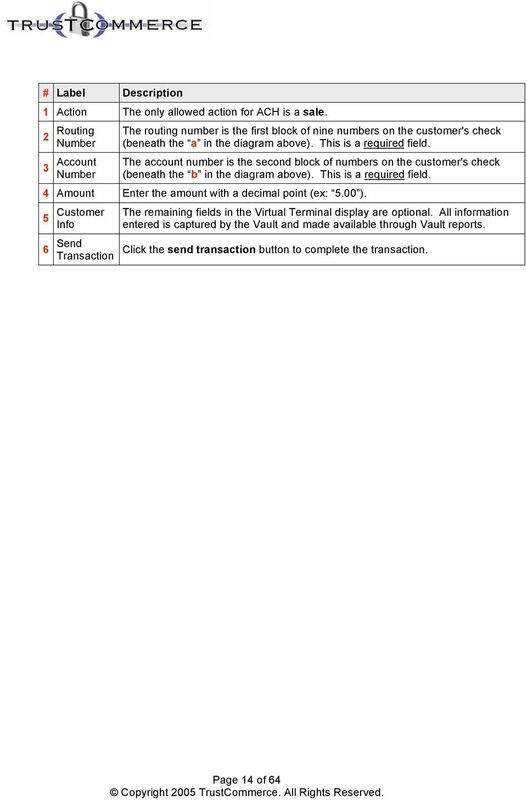 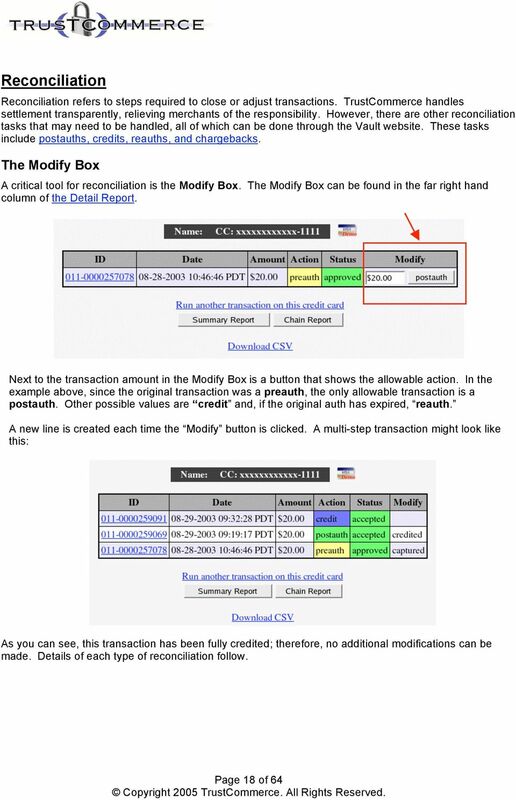 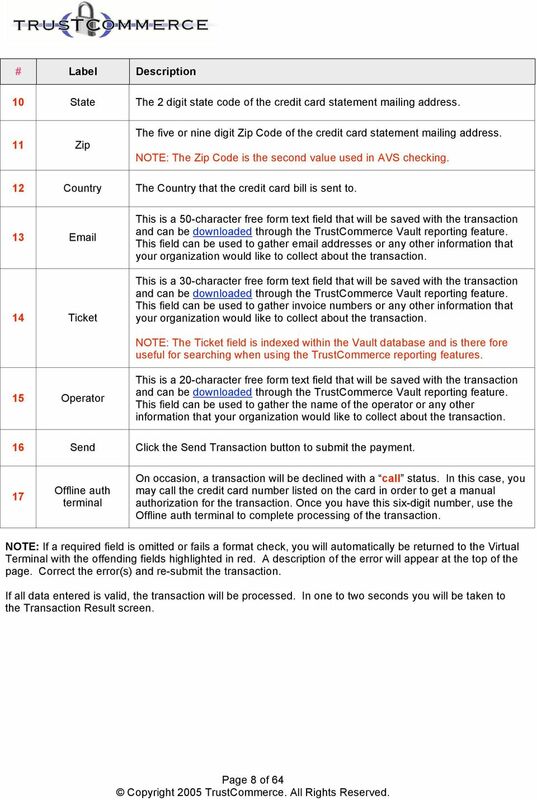 1...3 Transaction Types.....4! 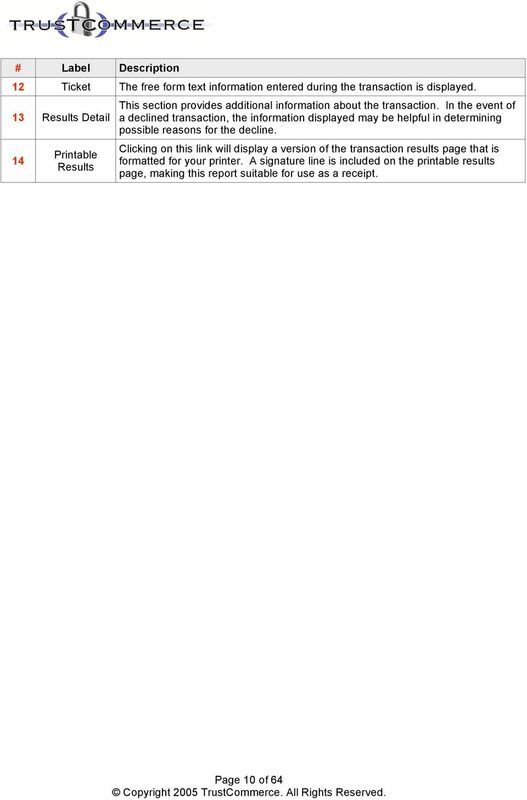 Sale (sale)..4!